Last week on Supernatural, we got fully introduced to Lucifer’s son, Jack. His mother, Tiffany, taught him things before he was born. Who he was, that he was special, among other things. He was wondering, running, looking for Castille. We also saw Castille presumably dead, laying on a bed in a house surrounded by Angels. Jack’s mother told him to look for Castille. Dean and Sam found Jack wandering, and saved a few people in the process. Jack knows he’s Lucifer’s son, but not much else. He’s just a Nephilim that’s slowly learning who he is, and what’s going on. Satan and Mary are still trapped in an alternate universe. This week’s episode focuses on all of those things. Tonight’s episode is a bit of a sleeper, but it keeps things interesting. This season’s focus seems to be all about Jack. Everybody wants Jack for something. Sam and Dean want to protect Jack, and teach him how to be good. 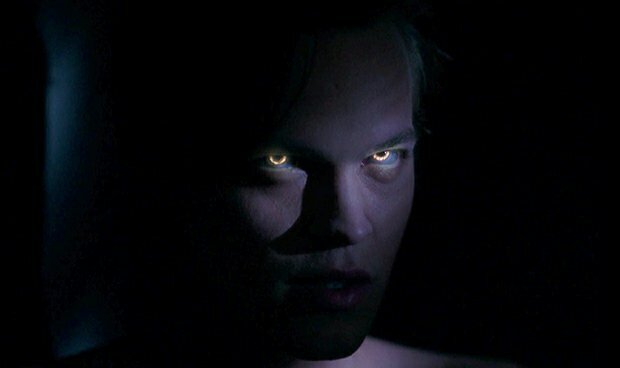 Asmodeus, the Prince from the 4th level of hell, wants to train Jack to take over hell. What will happen? Asmodeus is goes to hell to do some spring cleaning. He wants to kill all of Crowley’s loyal demon, and run hell until Lucifer returns. If Lucifer does not return, he wants Jack to take over as I stated above. 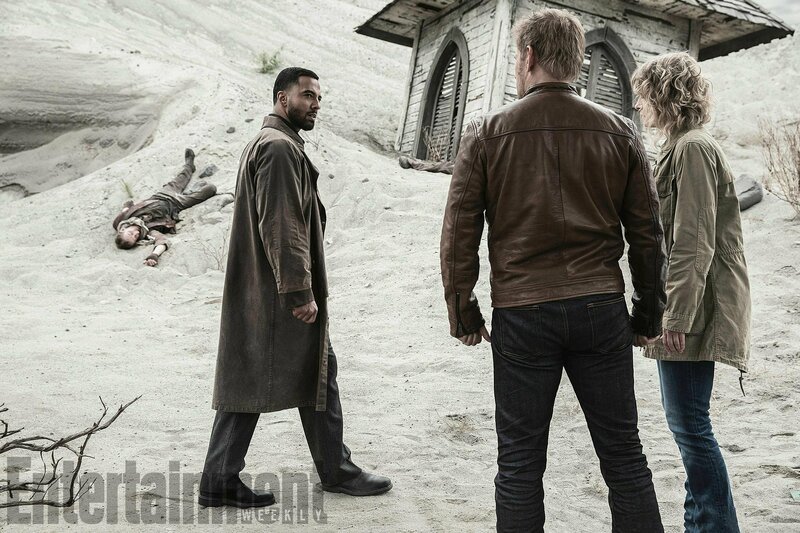 He starts taking out Crowley loyalist, and looking for Jack. He also wants to look for Jack, so he can use him to bring the Shedim out of hell. The Shedim are creatures who are locked inside of a separate part of hell. The Shedim are so hideous, even Satan wants them locked away forever. Shedim, is a Hebrew word used for demon or spirit, they are creatures in the Jewish/Hebrew religion. Asmodeus, released them some time ago, and paid for it. Lucifer punished him for releasing these creatures, but with Lucifer gone, Asmodeus saw this as a perfect opportunity. Sam and Dean are at a crossroads. Sam, believes they can save Jack, Dean does not. They argue and bicker over the matter during the episode. Things happen that may sway the viewer either way in the argument. Enter Donatello, the prophet from last season. He doesn’t really change the argument, he’s more neutral. He picks up on Jack’s power, and talks with him. The boys out the wards on Jack, but they disappear. He can’t be injured in anyway, but he can feel pain. This is why the tattoos disappear. Asmodeus spots them disguised as a homeless woman. After Asmodeus finds them, he tricks Sam and Jack by disguising himself as Donatello. He tricks Jack into thinking he’s doing God’s work by releasing the Shedim from hell. The real Donatello picks up on their powers, and leads Sam and Dean to Asmodeus and Jack. Things happen in a fast manner, but Jack realizes his power. He can either listen to Asmodeus or to his friends. Who do you think he picks? 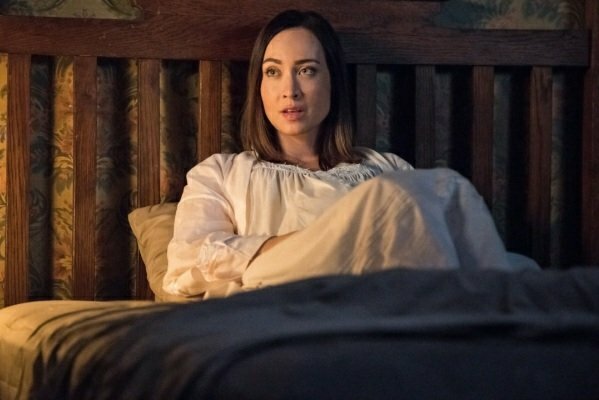 A backstory for this season seems to be the alternate universe that Lucifer and Mary are stuck in. Mary doesn’t trust Lucifer, but she has too. There’s a war going on between angels and demons that is on surface world, kind of revelations in action. The angels are hunting Lucifer, but the Lucifer in this universe is dead. They don’t believe it to be him. Also, the angel Micheal returned tonight. This Micheal is from the universe they are currently trapped in. This story will be an interesting one to follow, so we will watch it unfold closely. We also got an Easter egg to the crossover with Scooby-Doo and the gang tonight. I’m sure we will get more as the episode inches closet. Tonight was kind of slow, but still very interesting. Jack is trying to learn more about himself, Asmodeus is trying to figure out how to get him to hell, Mary and Lucifer want a way out, and Sam and Dean are just trying to solve the problem. This season has so much potential, and looks to be great. We will see how things go. Are you enjoying the season so far? Tweet us, comment, share the review, like us, follow us, thank you for reading! Catch Supernatural every Thursday at 9/8c on the CW! Supernatural is an American fantasy horror television series created by Eric Kripke. It was first broadcast on September 13, 2005, on The WB, and subsequently became part of successor The CW‘s lineup. 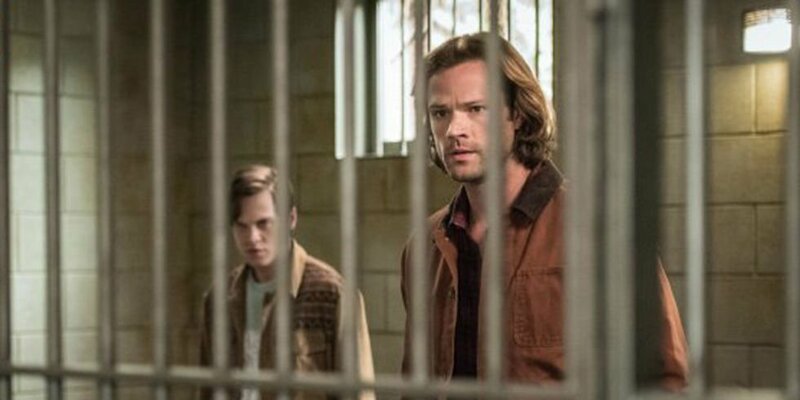 Starring Jared Padalecki as Sam Winchesterand Jensen Ackles as Dean Winchester, the series follows the two brothers as they hunt demons, ghosts, monsters, and other supernatural beings. The series is produced by Warner Bros. Television, in association with Wonderland Sound and Vision. Along with Kripke, executive producers have been McG, Robert Singer, Phil Sgriccia, Sera Gamble, Jeremy Carver, John Shiban, Ben Edlund and Adam Glass. Former executive producer and director Kim Manners died of lung cancer during production of the fourth season.